How The Heck Did It Get To Be December? Don't look now, but tomorrow is December 1st. Yes, 2005 is almost over. Did you accomplish all those business goals that you set in January? Have you even looked at them since February??? Most of us begin January by proclaiming we will do more in the new year than we have in the past. But alas, we get busy and our old routines take control. By June realize the year is half over, and we try to re-commit, but often fail to reach our goals. For some reason professional services firms look at December as a wasted month. They wrongly assume that it is too late to chase new business and that there are too many distractions to get the attention of clients and prospects. They just write off December and start thinking about those goals for the new year. I suggest that you look at December as a GREAT time to build, cultivate and strengthen your network (and thus grow your business). Scott Ingram at the "Network in Austin Blog" agrees. 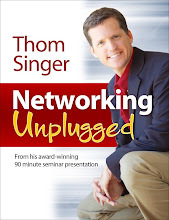 He has a post this week reminding his readers to use December as a month to reconnect. This month you have an excuse to send a greeting card just to say "Hello" (although you shouldn't need an reason to reach out to your clients and prospects). There are lots of parties in the corporate world to allow you to go out and network (not to mention all the private parties hosted by business professionals who are your friends). People are generally in a good mood, and you if you never know how to start a networking conversation you can always lead with: "Are you doing anything special for the holidays?" or "What are your business goals for the new year?" Once you have recovered from the shock that it is December....do NOT waste any more time. Only 31 days left to make a mark in 2005. This Wednesday (November 30th) I will be the speaker at the Austin Technology Council's "Tech Grapevine" event. 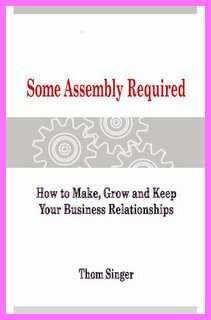 I will be speaking about "Some Assembly Required: How to Make, Grow and Keep Your Business Relationships" and selling/signing copies of my new book of the same title. If you live in Austin, I hope you can stop by the Iron Cactus at 6th Street and Trinity between 5:30 - 8:00 PM. The cost of attending is $20 for ATC members and $35 for non-members. When is the last time you looked for creative ways to motivate your team? Often I think that companies, especially professional services firms, feel that the high salaries they pay their people should be enough to keep their people enthused. If that is the case, why are their so many employees in these organizations who are underperforming and bored with their jobs? I know that many highly paid attorneys who are not excited by their annual bonuses. At their income level an extra ten or twenty thousand dollars is nice...but hardly enough to change their lives. Meanwhile the partners in these firms think that more money is a huge motivational tool. I believe that people get excited about other types of perks. I have written before about public recognition, trips, gift cards, lunches, etc... And while expensive perks are nice, it is often small things that will get people in gear to produce results (and to have fun along the way). A regional sales manager for a Fortune 500 company set some very high stretch goals for his team. There was one particular product offering that he wanted sell record amounts in the fourth quarter. He set two levels of achievement for that product. Any salesperson who reached the first goal, the company would pay to have their car detailed. If they reached the second level, the boss would fly to their city (his team is across nine states) and wash and detail their car himself. WOW. How much extra effort would you put in to have your boss wash your car? The team is on track for a huge quarter in all products, and he is planning to have to wash four or five cars in January (*even better, the boss washes their car in the cold weather!). I shared this story with an attorney who said that, "this would NEVER work in a law firm, as the associates would not respect the partners if they washed their cars". (a big pet peeve of mine is sentences that begin "that would never work here...."). The funny thing is this highly paid sales manager has respect from his team by doing exactly this type of thing on a regular basis. He knows that you EARN respect, not COMMAND respect. His people love to excel in their jobs because, in addition to the money (and they earn a lot of that), it is a fun environment where everyone works hard. Will they laugh and take pictures of him washing their cars (which will probably have been off-roading the day before he comes to wash)?? Yep. But will it all be in a spirit of fun with enthusiasm and respect? Without a doubt. As you plan for 2006 why not set some huge goals with the payoff being something a little quirky. If the team can achieve the goal, everyone wins. So what if you have to wash a car or two? It is about the success. The "Weekend Blog" is off the topics of Marketing, Business Development, PR, Networking, Sales and all that other business stuff. It is my chance to pontificate about any topic. Today I was in Borders Books and happened upon a book signing and talk by Fox News personality E.D. Hill. 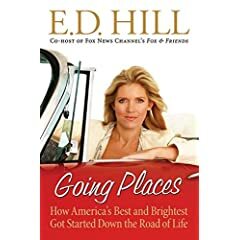 She has just released a new book called "Going Places" in which she interviews dozens of politicians, actors, sports figures, journalists, business tycoons and other famous folk. She grew up in the Austin area, so I assume her family (many of whom were with her at the book store) were in Texas for the Thanksgiving Holiday and she decided to get a little work in to promote the book. I thought that her short address to this eclectic audience in a suburban bookstore would be light and fluffy, but it turned out to be a very thought provoking and inspiring. Ms. Hill covered a plethora of topics including: her Texas upbringing, career, family, politics, the Iraq war, Fox News, raising children, religion and even Bill O'Reilly. I was impressed with her presentation skills, her commitment to her husband and children (they have EIGHT between them), the success she has achieved and how cool she is in her own skin. My eight-year-old daughter (Jackie) was with me and sat through the whole talk enthralled with what this former Austinite and TV personality. Jackie did get a bit embarrassed when I asked a question (dad's can be so embarrassing when you are eight), and did not like the fact that Ms. Hill shared that she does not allow her own children to watch television during the school week.... (I think this is something Jackie already fears I might institute at our home someday). But beyond that she, too, thought the talk was great. I would have liked to purchase a copy of the book, but the one hundred plus crowd (many of whom arrived four hours early to ensure premium seating) had already coveted all the copies in stock. Fortunately, my kids are looking for a gift for me this Christmas....so I will direct them to her website at www.hillfriends.com or www.amazon.com where they can purchase it for me in time for it to be under the tree. I look forward to reading "Going Places". If it is half as good as today's presentation, it will certainly be fabulous. ***On a side note, E.D. Hill is donating all the proceeds from her book to charity, which is very cool!!! You do not need to be a blogger, just someone who has an interesting point of view to share 0n the topics of sales, marketing, networking, public relations, business development or any related theme. 500 - 1000 words of amazing writing is all we ask!!! A year ago today I set a goal of losing 30 pounds and running the "Turkey Trot" on Thanksgiving Day 2005. I lost the weight by April, and have found that keeping the pounds off is just as much work as losing the weight in the first place. Maintaining the success is no easy task. I have never been one to run (except to the refrigerator to get another beer and/or some ice cream). I did work out on a treadmill for the past year, but running a 5 K was another event altogether. You can imagine my surprise when I discovered on Tuesday that the "Turkey Trot" was NOT a 5K, but rather a 5 mile run. Well I am happy to report that I did it. I almost ran the whole way (I did walk on some big hills). I am a big believer in setting a goal and working hard to achieve the results. While for many readers of this blog running five miles is not a big deal, for me it is HUGE. And the weird part is that I enjoyed the whole thing. I even plan to run this race again next year and maybe a 5K in the spring. One friend told me that if you can run five miles you could train to run 26, so a marathon is not out of the picture. I doubt that, but I am happy that I completed a race before I turned forty. So what is your goal??? 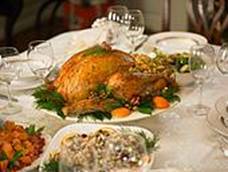 In the United States we celebrate "Thanksgiving Day" on the last Thursday of November. This tradition goes back over 300 years to when the pilgrims gave thanks for their lives in the new world. Regardless of your religious belief or nationality, I think Thanksgiving is one of the greatest concepts for a holiday. We are all fortunate for something. Even when we face trials and tribulations, there is good somewhere in our world. My dad and mom who taught me so much. I was fortunate to always feel unconditional love. My three older brothers and their families. I get so much joy from being part of their lives. My friends (who are like family) both here in Austin, and around the country. My church. Never before have I experienced such a feeling of community from a congregation as I do at St. John Neumann. My career. It has been bumpy, but always an adventure. The completion of my first book. I had wanted to write this for so long. Thanks to Dave and Leslie for being my partners and helping make it such a success. And thank you to the hundreds of people who have read it !! I am still shocked when I see professional companies go negative on their competition. Sometimes this is just a rogue sales rep talking trash, but other times it is the marketing department actually doing things to draw attention to flaws in those with whom they compete. This morning I saw a deck of playing cards from Juniper (with their logo proudly displayed). Every card in the deck has a cartoon that made fun of their largest competitor, Cisco Systems. This well known high tech company actually has created a trade show give-a-way that mocks another company by name. If you cannot sell to your strengths, stay home. If you believe your competition is superior, apply for a job with them. But don't, even if you think it is cute or funny, knock your competition. This is cool. 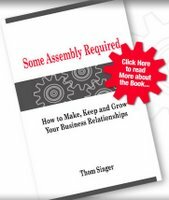 I got my first book review of "Some Assembly Required: How to Make, Grow and Keep Your Business Relationships". 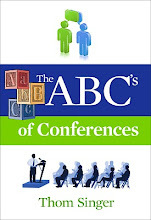 The book was reviewed for the Legal Marketing Portal by Mark Merenda, a legal marketing consultant and veteran blogger. The review is mostly positive, and I am thrilled to share it with all of you who read this blog. If you have not noticed....before the Halloween Candy was off the shelves, the Christmas Decorations were up all over the United States. In business, many companies struggle with what to do about holiday cards and gifts for clients and employees (yes, do not forget your employees). I have read hundreds of articles this year in magazines, newsletters and business blogs about how to stand out from your competition in the card-sending / gift-giving game. Obviously companies struggle with this issue, or not much would be said about it. I think a gift that they will enjoy (not a calendar or pen with your logo on it...unless it is of exceptionally good quality) is the best. Something that brings value to the person who receives the gift, not just something that markets your company. (How would you feel if all your relatives gave you framed photographs of themselves as your gift this year? You would feel cheated. Your gifts would not be about you, they would be about them. That is what companies do every year when they give gifts). Think of the person who will get the gift, not just your logo placement. 1. Books. Everyone can benefit from a good book (my I suggest "Some Assembly Required: How to Make, Grow and Keep Your Business Relationships" - New Year Publishing 2005 - and yes, I did write this particular book!!!!) . Find a book that is not controversial and easy to read, and you will be remembered for it. 2. Good (I mean really good) candy or other gourmet food. And lots of it, because if it is really delicious, everyone in the office will want to eat it. Mediocre snacks will sit and go stale....just like your relationships with some clients. 3. Gift Certificates. These are especially good gifts for employees. It allows them to select something they would enjoy having. These days you can get gift certificates for any type of product or service. I suggest that you check out a service called Quick Gifts at www.quickgifts.com. They will allow your gift recipients to select the retailer where they want to spend the money. You do not have to spend a lot of money on corporate holiday gifts, but you cannot make a lasting impression if you are too cheap. It is better just to send a card that a crummy gift. And hand sign the card...If I get one more card with a printed signature and a computer generated address I will scream out loud. The idea is a personal holiday greeting...NOT A DIRECT MAIL ADVERTISEMENT!!!! Yep, you guessed it....It is "Guest Blogger Friday". Today's post comes from Carlon Haas. Carlon is a direct-response copywriter and marketing consultant, amature violinist and student of life. He spends most of his off time as the father of a “spirited” 2 year-old which is much more exciting than all the other stuff!!! (Kids Rule). He also lived in South Korea for 6 years (which sounds cool) and has written over 50+ books and info-products while working at one of the top publishing companies in South Korea. On very short notice he joins us as this week's guest blogger (I only met him on Wednesday night). Those were Thom’s (paraphrased) instructions to me for my guest blog entry. Here’s the deal: as IBM founder Tom Watson once said, every business needs a religion. Now, I’m not talking about forming some new business cult. No, I’m talking about something different. I’m talking about a religion as in knowing what you stand for. Knowing your core values and beliefs. And then taking those values and beliefs and crafting it into a powerful marketing message. I’ll teach you a powerful technique to start your own “religion” in a bit. But first, I want to show you why it’s important. Boiled down, it’s sending the right message to the right market in the right media. The clients I deal with usually know what media they want to use (website, direct mail, brochure, etc.). About 50% have an idea of their target customer. But where I see a lot of businesses get stumped is in the message. Many have a hard time figuring out what they want to say to their prospects. So, rather than trying to be all things to all people, if you market your values you will get the right kind of customer. …Judge Judy offends a lot of people, but no court show has been able to knock her out of the #1 slot for 10 years. If you’re marketing right, you will most likely offend someone. But you won’t offend your customers. Now. I promised to show you how to find your values? The Credo technique involves spelling out what you believe. You’ll be amazed at the power of this technique. Actually spelling out your beliefs and implementing them in your marketing will show your prospects where you stand. And when you stand for something, you’ll be amazed at how many like-minded people will line up to stand with you. As an example, I thought I’d share with you my core beliefs about marketing and advertising. It guides the way I do business and how I deal with my clients. I believe that the purpose of advertising is to sell. I have not won a single advertising award, and I probably never will. My goal is to create ads that are neither clever nor funny, but effective. I believe that advertising should get results that can be measured. Unless you’re a major corporation, you don’t have an unlimited ad budget. You need to be able to measure the results of your advertising, which is why I use direct response advertising because this type of advertising has been scientifically-proven to get results for half a century. I believe that all advertising must be done with honesty and integrity. Advertising should be honest, and you should stand by your word. When you are honest, your prospect rewards you with their business. I believe that giving of yourself gives you more than just clients. I always give as much as I can to my clients. Everything I create is with their success in mind. It is an awesome responsibility, but the rewards are immeasurable. Many of my clients are my friends. And that is more important than any one-off business transaction. Those are my beliefs about what I do. Now, what do you believe? What are your values? Find them, and you’re well on your way to creating a compelling marketing message. Thanks Carlon for a great post. You never know what will happen when you go to a business networking event. What will you learn? Who will you meet? Or how might the stars will line up to solve a problem? If you are open to meeting people and sharing with them...... the answers to your needs will just appear in your life (this is also true in personal relationships....as I met my wife nearly 15 years ago at Gordon Biersch Brewery in San Jose, California and my life has forever been better). Last night I had the honor to be the speaker at the Austin Business Group. This is a great and eclectic group of entrepreneurs that was founded in 2005 by Matt Pardo and Janice Daquila-Pardo. The goal of the group is to provide a useful resource for businesses of all sizes and types and encourages sharing of information, creation of connections and a win-win philosophy. I spoke to the crowd about the importance of building a strong network of business contacts that can (and will) refer you business. 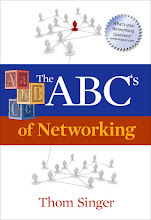 While "networking" is not a new topic.... it is always a great reminder for business executives at all levels of experience. I had fun, sold a few copies of my book and solved a minor problem that had been bugging me all day. You see.... tomorrow is "Guest Blogger Friday" and I had not found anyone to write for me. This weekly feature has been one of the best read and most talked about things I do on this blog (with the exception of yesterday's memorial to my mom, where I received over two dozen emails from people about the small post). I was bummed out that for the first Friday in months there would be no "Guest Blogger". I mentioned this to my friend Steve Harper, who has been a guest blogger and has started his own guest blogging program at The Ripple Effect Blog. He immediately introduced me to a Carlon Haas. Carlon is a successful marketing consultant and copywriter, and has agreed to write an article for tomorrow's blog. I know it will be a fantastic post......so be sure to come back tomorrow and read what wisdom Carlon has to share. I had a problem and had no idea that after my speech I would solve that issue. You just never know. "Success is not an entitlement. It has to be earned." Monday night I had the honor of hearing one of the best business speakers,...EVER!!! John Paul DeJoria gave a wonderful talk at the Bootstap Austin monthly meeting. He is the co-founder of John Paul Mitchell Systems, and is a true entrepreneur (see "bootstapper"). Having lived out of his car when he started his first company (what is now one of the largest hair care products company in the world), he is now invested in dozens of other businesses globally. 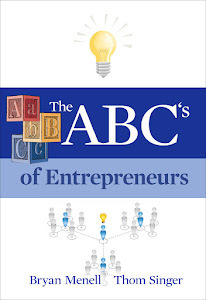 He told his story of growing his businesses, but more importantly he shared his heart. What makes him so impressive is his dedication to his family, employees, business partners and the people of the world. He is NOT one of the rich guys who has made it by entitlement.....he has earned it. With his millions (billions?) of dollars, he is still just a humble and nice guy. He freely gave of his time to speak with the mostly twenty-something crowd of up and coming entrepreneurs and his message was well received. 1. Be frugal when you start your business, and pay yourself first (and save your money). 2. When selling your products or services, don't give up too easily. 3. If you treat people well, you have a better shot at achieving great things. 4. Never criticize employees in public. However, let the world hear you when you praise them! 5. Success unshared is failure. You must give back to society. 6. Never forget the order of things: Happiness, Health ...then Wealth. I have heard many, many business speakers and John Paul was real, genuine and inspirational. I was a very fortunate kid. I had great parents that I always knew loved me unconditionally. I was pretty much a "momma's boy" as a youth. I could write for hours about stories of cool things my mom did......I especially remember in junior high and high school she would call the school office and have me excused from class and together we would go eat Mexican food. It was our secret (my dad would not have been in favor of my missing school). When I was fifteen years old she got sick. By the time I was eighteen she was very sick. The week before she died I said "good-bye". She held my hand and asked me if I would trade her in for a mother who would have lived longer? Through my tears, I said "no". She told me she would not trade me or my three brothers for one more minute. She had lived the live she had wanted to live. She said that when I was born (I was the youngest and she was older) she prayed that she would live long enough to see me through high school and off to college. Then with a big smile she added, "If I had known God was listening so closely, I would have asked for a heck of a lot more!!!". Twenty-one years ago today she passed away. I wish that she were here today to see her ten grandchildren (my three brothers have eight sons between them and my two daughters!!!). I know she would love her four daughters-in-law, and she would be proud of the legacy she has left behind in our families. 21 years is a long time, more than half my life. Here's to you, Betty Singer!!! Thank you!!! JD Moore over at the "Marketing Comet Blog" (one of my favorite blogs, I might add), had a nice post last week called "When You Should Hire An Expert". Too often people think that they save money by trying to tackle complex tasks themselves. This is often true in professional services firms when it comes to sales, marketing, business development and PR. The lawyers, accountants or consultants looks at these areas as "soft skills"....and thus they rationalize that they are not difficult. Instead of paying someone with experience to handle these jobs, they wrongly believe that they can and will do them themselves (or get some young college graduate who will work for a small salary). The results are usually not great, so then they rationalize that sales, marketing, business development and PR do not really apply to their industry. JD uses the below diagram to illustrate why you need to think ahead about the results you want from any project, and then choose if you want the task done fast, cheap or good. 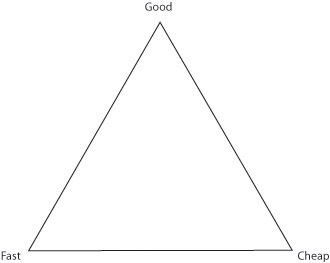 The triangle illustrates that you can have some degree of any two...by you cannot be on track for all three at once. Let's look at marketing for example. If the goal is for your firm to create marketing materials fast, you can have that...but the closer on the line you get to fast, the farther you get from good or cheap. If you want cheap....you are moving away from fast and good. If your heart's desire is for good (effective) marketing....then fast and cheap will be in your rear-view mirror. Yes, good is neither fast nor cheap. However, most professional service firms long to have all three at once. I know a law firm who wants a "great" marketing person. Their favorite candidate is requesting a salary equal to that of the attorneys. The firm is appalled. They are focused on the fact that this person is expensive, yet they will openly admit he is the best candidate. They want him, but said "we cannot pay a marketing person a salary equal to what we pay a lawyer!!!" Here is what will happen to that firm. They will hire another candidate who will work for the salary they are willing to offer. In the end, the results will be mediocre. They will wish they had gone with the other candidate..... but slide along with the second choice. I have seen it happen many times in service firms. Sales, marketing, business development, branding, public relations are all important business skills. Your firms should treat the professionals who do these jobs like....well professionals!!! And quality costs money. If you are a Marketing Executive for a professional services firm, or know one, the following information is vitally important. Please read the below post and then participate in the survey. If you work for a professional services firm (and are not in the marketing department), forward this information to your Director of Marketing......NOW!!! BOSTON & CHICAGO--(BUSINESS WIRE)--Nov. 9, 2005--Professional firm marketers are invited to participate in a ground-breaking new study, "Increasing Marketing Effectiveness at Professional Firms." The goal is to give firms practical, new information that can help them compete more effectively. The survey can be found online at http://www.zplink.com/lmp. "Very little useful information on this subject currently exists for professional services, including accounting, architecture, numerous consulting specialties, engineering, executive search, law, and many others," said Suzanne Lowe, President of Expertise Marketing. "This research will fill that gap." -- What key marketing initiatives do professional service firms evaluate? -- How effective are their measurement / evaluation tools? -- How do professional marketers overcome the many obstacles to measuring and evaluating? "The survey results will reveal brand-new information that marketers can use to implement high-impact programs, provide insight into what other professional firms are doing and offer nuts-and-bolts practical solutions to common obstacles," said Larry Bodine, Director of the LawMarketing Portal. -- Expertise Marketing LLC, http://www.expertisemarketing.com/, a Boston a consulting firm that provides marketing and management analysis and guidance to the leaders of professional service firms. -- The LawMarketing Portal, http://www.lawmarketing.com/, the top online destination for law marketing information. It gets 60,000+ unique visitors per month. -- The Professional Marketing e-newsletter, published free every two weeks to 4,200 subscribers. Anyone may subscribe at http://www.lawmarketing.com/subscribe.html. The survey questionnaire was created with the guidance of 20 senior marketers from leading large and mid-sized professional services firms. Other participating organizations also include the Association for Accounting Marketing (AAM), Management Consulting News, the Professional Services Marketing Association (PSMA) and The Society for Marketing Professional Services (SMPS). This study will conclude in 30 days, so time is of the essence. Marketers are encouraged to click the link http://www.zplink.com/lmp/ right now to complete the questionnaire. (If the link does not work, please copy and paste it into your browser.) Participants will get the first look at the full report in early January 2006. 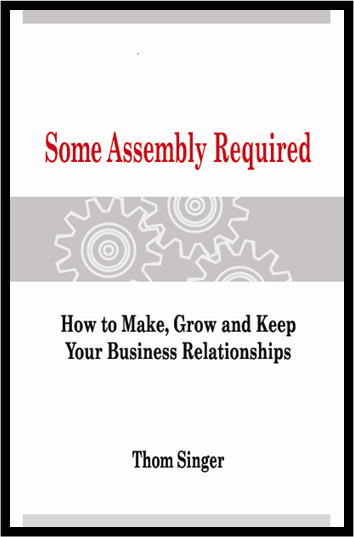 I just received an order for 50 copies of "Some Assembly Required: How to Make, Grow and Keep Your Business Relationships" from a company who intends to give them to their staff for the holidays. The CEO told me that it is an ideal gift, as it is an important topic for all of his employees (regardless of their role in the company). In addition, because it is 100 pages long, nobody can complain that they cannot find the time to read the whole book! The weekend blog is off the topics of business development, networking, marketing, sales, PR and branding. It is my chance to just write about anything. 1. Americans used to be frugal. Not any more. I remember being a kid and my parents gave thought to the money they spent. Money was not tight, we were solidly middle class.... but my folks never would have spent four dollars daily for a cup of coffee. My dad drank coffee....but he drank it at home or at the office. As I type this on my laptop at 9:30 AM on a Saturday morning, the line here at the coffee house is sixteen people deep. The men and women in line appear to come from every ethnic and economic background, yet they are all bonded together by the fact that they are spending on coffee an amount of money that could feed a family for days in a third world country. Yes, my "grande non-fat vanilla latte with extra foam" does taste good, but I question if it is the best use of $3.85. 2. University of Texas fans are forced to wear the most horrible shade of orange. Of the sixteen people in line, nine are wearing orange (home game today). Yes, I have lived in Austin for 15 years, and one would expect that I would be used to the unique shade of burnt orange that is this great university's signature. Although I did not go to school at UT, I am a fan (and yes, I own lots of burnt orange shirts and caps), and I am very proud to see the football team on track to go to the national championship at the Rose Bowl (Boooo to USC). But still, it is not a great color. 3. There are over 19,000 different drinks one can order/create at Starbucks. However, the bartista continues to call out "grande mocha at the bar". Seems like hot chocolate with two shots of expresso is a very popular drink. 4. This Starbucks looks just like every other Starbucks. The earth tone, pottery-barn-like furniture, brown tile floor, etc... I think people find comfort in conformity. Even those who claim to be "anti-conformists" seem to dress just like all the other "anti-conformists".....thus making them conformists. 5. I wish I had learned to play chess. There are two old men at a table across the room who have been playing chess for the whole time I have been sitting here reading the paper and typing this blog post. It just seems cool to be old and sitting in a coffee house playing chess. I figure in the next twenty years I will need to learn the game, so when I am old I can be cool. Everyone loves Friday, and "Guest Blogger Friday" is just one more thing to enjoy about this special day. Today we have a great article from Mike Sigers. Mike is a highly effective and successful salesperson who also writes the "Simplenomics Blog". And how fitting that he is the "Guest Blogger" on Veteran's Day, as Mike is a former member of the United States Armed Services (he spent six years in the Airborne Infantry). Thank you, Mike, for this great blog post, and for your service to our country!!! And Happy Veteran's Day to all those who have served in the US Military. Every one of us in the selling profession is constantly looking for some way to better their salesmanship. We're always open to suggestions, probably more than other professions, because our sales determine our income. Although these tips seem simple, they are a combination of values that, properly planned and properly applied, will give you an advantage over your competition. These are usually not taught to the new salesman and are often over-looked by a veteran salesman. Many people do them naturally, while others need to be reminded. Properly applied, they'll make you more successful. Without action, they're just words on paper...or your monitor. If you want to stand out from the crowd, if you want to rise above the noise, if you want to be thought of as extraordinary, here are 10 simple tips that will take you to the top. #1 - Do The Usual Things In An Unusual Way. Any salesman can deliver a quote or sample. Make sure you do it differently than your competition. If they mail it, you need to have it delivered by a courier. When you lose an order, do it with "style and a smile ". When I lose one, I ask for the next one in advance. My customers know by now I'm going to do this and sometimes have one waiting for me. It might be smaller than the one I wanted, but it's sure better than nothing. And losing with class is one sure way to grow your stock in their eyes. You don't have or want to be extreme or offensive, just memorable, in a good way. The quality of being different is a sought after trait of successful salesmen and will pay enormous dividends. #2 - Constantly Think About Ways To Help Your Customer. A successful salesman never sells on intrinsic value alone. He adds a personal touch that is unique to him. He makes his product into a service, with his ideas being the extra feature that only comes from him and his company. Find new avenues for them to explore. Send them business. Talk them up at trade shows. Show them ways to make more money and spend less. #3 - Keep In Constant Contact With The Customer. Constant contact is essence of salesmanship. If the only time you contact your customer is when you ask for an order, you may as well not contact them. You won't be welcome there for long. I call my customers with tips, leads, technical findings and suggestions on a regular basis and do so without asking for or referring to an order. Often, this leads to an order that I never saw coming. Don't be a pest, be a member of their team. #4 - Have An Uncommon Spirit Of Service. Willingness to go above and beyond was instilled into me in the US Army. My years as a salesman have reinforced that ten-fold. Going to another town, 120 miles away, at night, on my time, to pick up a box of parts we left on a dock and delivering them to a jobsite a 2AM won me more orders than I could have ever gotten any other way. Whatever it is that you have to do, in your industry, to make your services more valuable than your competition, you need to do it. 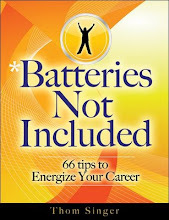 #5 - Have Consideration For Coworkers. You're only as good as your team is. They'll determine how far you go. The customer will only listen and forgive you so many times. Blaming it on your truck drivers, the shipping department, billing or manufacturing will only buy you a few buckets of forgiveness. After that, it's all on you. Don't make the mistake of thinking you can treat them poorly and get away with it. They have long memories and nothing is secret for long. #6 - Treat Your Customers Employees With Respect. Never treat your customer’s employees with less respect than you do them. You never know when they'll have the ear of the person with purchasing power. Whether it's a truck driver who comes to your dock, the receptionist, the accounts payable department, it doesn't matter, they deserve your respect. I always imagine they know my grandmother and that they'll tell her if I'm not as nice as I should be. In the past, I’ve gotten orders from having been nice to a customer’s truck driver, who broke down in our parking lot, as he pulled away from the dock. I let him use my cellphone to call his boss and his wife. I went to my house and got him some sandwiches and a drink and brought them back to him and then waited there for the tow truck to come get him. #7 - Never Be Satisfied With Your Accomplishments. No salesman who's looking toward the future is ever satisfied with what he did today. He knows he's one week of being a slacker away from being so far behind that he'll never get back to the top. There are more people out there that you didn't sell today than there are those that you did. I don't even like for my boss to show me my sales numbers from month to month. I'm afraid it will cause me to ease off. Set realistic, attainable goals and if you reach them, reset them a tad higher and forget you already exceeded them. #8 - Have a Large Capacity For Friendship. The ability to make friends - and keep them - is one of the greatest assets a salesman can have. The majority of business sales come from friendships. Invariably, he with the most friends is the man with the most business. The greater your capacity for making friends, the greater your capacity for making money. The two are inseparable. If you think of your customers as your friends, you'll never try to deceive them or treat them unfairly. Many who purchase will wait for their favorite salesman to visit, even when they're offered a better deal from one of those who treat their customers coldly and say, " Hey, it's just business "
#9 - You Need A Keen Understanding Of Human Nature. If you set out to study human nature, you'll never have to worry about having learned it all. The field is ever changing, but always stays the same. The more contacts you make, the more you'll learn. The more you learn, the more you earn. As you begin to understand your customer’s inner workings, you'll see avenues for injecting your ideas and wooing him over to your way of thinking. You cannot treat all your customers the same way. If you do, you'll only attain a miniscule portion of your potential. Every person you meet has their own way, it's up to you to find their buttons, and it’s not up to them to change their ways to help you. #10 - You Must Be A Tireless Worker. It goes without saying that most of the better than average salesmen are hard workers. Nothing worthwhile is easily attained and sales are no exception. Properly directed effort is more valuable than education will ever be. Properly educated and directed effort is the stuff that makes dreams come true. If you will work smart and hard, in sales, the sky is the limit. Action, effort, hard work ....whatever you call it, is what it takes to succeed. Educated and directed effort will never, ever let you down. Again, thanks to Mike Sigers for today's "Guest Blogger Friday". If you are interested in being a "guest blogger"....please send me an email. Most professionals believe that if they do a good job, the business will roll in. It is the "Field of Dreams" theory of business: "If you build it, they will come". But do they come? Or are you leaving money on the table by not marketing and networking? How do prospective clients know you are out there? Just because you do a good job does not mean that everyone talks about you (are you really that vain?). A lawyer once told me that his firm did not believe in marketing, advertising and business development. He proclaimed that they had more business than they could handle, and that they were "the best kept secret in the legal industry" (okay, he was that vain!). He added that his high GPA from a top tier law school makes clients desire his representation. Silly man. His practice group has two senior partners who were natural rainmakers who brought in all the business. This guy likes to think he is busy because he is such a good lawyer and businesses around town seek him out. The reality is that his partners worked hard to build and maintain their networks and expand the reputation of the firm. They do their jobs and all the business development!!! While this guy thinks his fancy credentials matter to his clients, the truth is that most clients could not tell which competitor is really "better". They just want someone "good".... and every competitor claims to be superior. It is like standing on a sidewalk in New York City looking up at two tall buildings: one forty stories tall, the other forty-five stories tall. If you are on the ground, you cannot tell which is taller. If the client is sophisticated buyer, then yes, he is up in a helicopter....but most are on the street looking up. Thus to rely on your credentials is ridiculous. This does not mean you can forget about your credibility and focus only on your visibility.....YOU NEED BOTH!!! But don't kid yourself, you need to have marketing, sales, public relations, business development and networking if you want your business to grow. Nobody expands there business by hiding their head in the sand. Since I began this blog in March of this year (2005) I have been fortunate to get to know several other bloggers, both locally in Austin and via email and phone with people around the world. This networking amongst bloggers is called "Netblogging". It begins when one blogger either leaves a constructive comment on another's blog, or sends a supportive email cheering on the successful efforts of a superior blog. Soon, the bloggers have added each other to their "Blog Rolls" and regularly quote each other as expert testimony for their own posts. Before long, both have made a new friend. (If you want to read some GREAT blogs...check out those on my blog roll). I must admit, I just made up the word "Netblogging"..... but I think it will catch on in the blogosphere. Tell a friend and may your Netblogging Efforts be successful. Have you ever made up a word? Go to www.allyourwords.com and register it. If you type in "Netblogging" you will see that I made it up and claimed it as my own. www.allyourwords.com is an interesting site.....check it out and type in your favorite words and see where they take you. (Not just made up words). 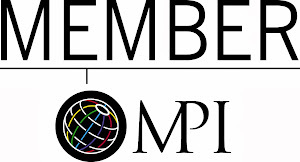 The Some Assembly Required Blog - "Home of all things Biz Dev and Networking"
JD Moore (Marketing Guru, Blogger, and former "Guest Blogger Friday" Contributor) had a great post last week on his Marketing Comet Blog titled "Small Business Marketing Moniker". In this post he reminded us that our tag lines, slogans and monikers are an important part of our brand. *It must be very short - 7 words or less is a good rule of thumb. *It must make the right type of association. Volvo's thing is safety. They should not use a moniker like "the car that won't get you killed." The brain doesn't picture NOT getting killed, it can only think of getting killed. Unconsciously a moniker like this would build fear in many customers. Think positive. *It should fit your brand and your identity. Don't be cute if the rest of your branding isn't cute. *Don't be too serious if your branding is whimsical. *The best monikers associate a benefit, feature, or offer. Think "Home of the_____"
If you are like me, everyday you want to hit home runs in your career and your personal life. You want to be faster than a speeding bullet, more powerful than a locomotive and able to leap tall buildings in a single bound. But alas, we are not superhuman. We are just people. People with goals who are walking down a path. Step by step. Occasionally we do great things, but sometimes we slip and fall. Often we turn down a side street only to get lost. When we make mistakes in our job, this can be a great opportunity to grow. Instead of looking at ourselves as having failed, I think it is much better to look for the way to learn from the event. Did not win a contract? Ask yourself why? What did the competition have to offer to the prospect that you did not? Lost a client? What can you do to strengthen your relationships with your other clients? Missed a deadline? How can you better manage your time? Conflict with a co-worker? What steps can you take to be part of the solution? .....NOT part of the problem. Got fired? What can you do in your next job to become invaluable to your employer? What ever the situation, if you always try to find ways to learn from your mistakes, then you will become much better (and more valuable) in the future. While you can only progress one step at a time, often those around you will not notice (I know it is hard to believe, but not everyone is watching your every move....not even your mistakes). To them it will appear that your many small steps were a giant leap. If it is Friday, it is "Guest Blogger Friday". 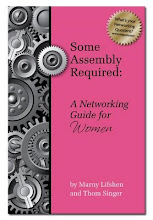 Today's article is by Cookie Wherry and looks at how networking is important even if you have just one retail product. Cookie is the president of Wherry Enterprises of Illinois Inc. and the inventor of the "Garden Wedgie", considered the world's best new gardening tool. See for yourself at www.wedgie.biz. You’ve created a new product. It’s all packaged and ready to sell but when you start cold calling and visiting stores, you discover that retailers are often hesitant to take on a new vendor with a single SKU. They’re used to dealing with distributors who provide a large array of products which means less paperwork and less time dealing with reps. So how does an independent vendor overcome those factors? How do you get your product into the marketplace? Focus on an independent vendor’s strengths. Since you’re selling one product rather than trying to push a whole product line, there’s less pressure on retailers to purchase something they don’t want in order to get something they do want. Retailers appreciate that. They also appreciate the smaller minimum order that independents can offer. You know your product better than anyone because you created it. Offer to demo it in local stores. Customers are enthused about meeting an inventor, you can generate good word of mouth with your presentation, the retailer appreciates the extra effort you’re making to sell your product, the staff learns from you how to promote it and you gain valuable customer feedback for your marketing strategies. If possible, deliver your shipments yourself, for free, to businesses within a certain radius of your home base. You’ll develop a closer relationship with your retailers and they’ll appreciate the cost savings. You’ll also be able to keep tabs on how they display your product. When shipping orders, accuracy counts. The invoice may go to a different address than the shipment. Boxes may be required to have the purchase order written on the outside. Delivery may be 3 months hence if it’s a seasonal product. Independent vendors have a distinct advantage here. There are fewer mistakes since they do everything themselves. If shipping individual website orders, score points with customers by being willing to include personal notes or by offering free gift wrapping. If special requests are made, you’ll be able to respond immediately because you’re the decision-maker. This is customer service at its best. Offer to list retailers on your website when they purchase from you. The free publicity for them is a great incentive to buy. Your mutual goal is to move product and publicity is key. Send press releases to newspapers in areas where your product is sold. Remember to list the retailers with their addresses and phone numbers (with their permission). Be sure to include your website. Pique editors’ interest in your product by including tips, quotes, back story on its development and recent accomplishments. Keep in mind that editors are looking for articles to interest their readers, not ads for your product. They’ll be less than impressed if your materials arrive with spelling and grammar errors. Your goal is to get into print so proofread, proofread, proofread. Networking can expand your business so attend trade shows and join organizations. Everyone you meet is a potential customer. Carry business cards at all times. 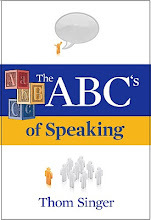 Refine your one minute elevator speech so that whenever you’re asked what you do, you have a ready answer. Make the most of all opportunities that come your way; some may only come once. It’s a lot to do but hey, you knew this wouldn’t be a 9-5 job! Thanks, Cookie, for a great article!!! Okay, I admit it. I am a fan of Donald Trump's "The Apprentice". For reality TV, the show is good. It makes me laugh, and I can relate to the characters. And for all his controversy, Trump knows how to make money, build businesses, and be creative! As for Martha Stewart's "The Apprentice"....Yeah, not so much of a fan. First, it is neither creative or original. It is just the same idea with a different host. Secondly, when Trump barks his "You're Fired".....it stings. When Stewart says "I don't think you fit in" it just lays flat. There is no passion, no spark, no creativity. And the letter she writes to the departing contestant is just goofy. (and I am the world's biggest proponent of handwritten notes). But like any train wreck, I am compelled to watch. Without boring you in the details of last night's show, the two teams had to market a stain removing product for Tide on the streets of New York. One team was creative and the other team just made a lot of noise. The creative team won, the noisy team was just annoying (so much so that Stewart fired TWO contestants). I could not get this out of my head as I was deciding what to write for the last day of my "Be Creative" series of posts. I think everyone should look at their business development, networking, marketing, PR and sales activities. Are you being creative or just making noise??? If you are just out there squawking with no plan, it is time to step back and reassess your strategy. Much like the losing team on Martha's Apprentice...... those who are just out there making noise do occasionally get noticed, but in the end, the competition wins. So be creative, but have a plan. So how does one get out of the usual "rut" and jumpstart their creative genius? 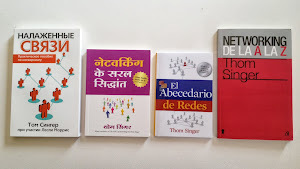 I want to thank Mike Sigers at the Simplenomics Blog (a great blog to read regularly, by the way) for sending me some links to a bunch of creativity resources. One of his links lead me to a great article by Scott Ginsberg called "Four Ways To Sidestep Your Creative Blocks". All of his tips are great because they get you out of your routine, and when you have a fresh perspective, you are more apt to be creative. Read his article (click here) for the full story on each technique. My favorite is #3. Getting out of your office and taking your laptop to Starbucks or the park is always a way to not only get creative, but also to be more productive than sitting at your desk. 1. Google changes it's very simple homepage logo on every holiday. I like that. It is creative. Since yesterday was Halloween, the logo was full of ghouls, bats, ghosts, a haunted house and a full moon. It is little things like this that any company can do to spice up their world. I did not need to wonder if Google, as a company, has a creative heart.....it proved it does. 2. I searched the word "Creativity" and guess what website came up first? Crayola. Now that is great. Can you think of a time in your life when you were more creative than those carefree days when a crayon and a big-chief table was your ticket to anywhere? You could draw a spaceship, a castle or little puppies. And their website is great. Geared not just to kids, but also for parents and educators. It is colorful and whimsical. It made me smile immediately. Sadly, I don't think most of us work for companies whose image create a huge grin on the faces of any random thirty-somethings who stumbles on the homepage. I immediately borrowed my daughter's crayola crayons and sketched out a rocketship en route to the moon. Hey, it has probably been 25 years since I drew with crayons just for fun. You know what....it is fun.